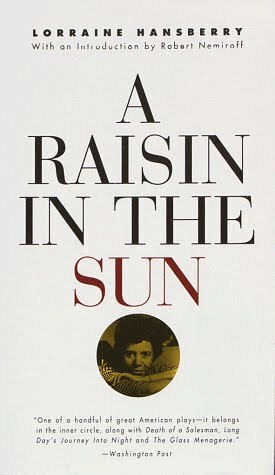 A Literary Odyssey: Review: A Raisin in the Sun by Lorraine Hansberry. Review: A Raisin in the Sun by Lorraine Hansberry. Of the four books I am possibly teaching this semester (depends on when she comes back from maternity leave), Lorraine Hansberry's A Raisin in the Sun is the only one I hadn't read. So when I saw that Amanda at The Zen Leaf was reading it this week, I knew I had to join in. It was a good excuse and a great way to take the pressure off that inevitable situation of reading it a day before teaching it. Amanda and I decided to do a pseudo-buddy review. We're both putting up posts about the play today, so I hope you head over to her marvelous blog as well to see what she pulled from the play as well. For those of you unfamiliar with this title, it is a play that is set in the late 1950s/early 1960s (it was first performed in 1959 on Broadway). The focus is a poor black family living on the south side of Chicago. Every scene is done within the confines of their living space. Mama Younger, the matriarch, lives there along with her two adult children, Walter and Beneatha, Walter's wife Ruth, and Travis, the child of Walter and Ruth. Together, they struggle to make ends meet. Walter is a driver for a wealthier white family and when he is home, he is always trying to come up with ways to earn money. His love affair with money really drives his character. Like many people in his generation, there was an intense fear of being poor, and of going back to the ugliness and despair of the Great Depression. I am sure, that as a minority, that pressure was even stronger. His sister, Beneatha, is a character that both Amanda and I struggled to understand. She is significantly younger than her brother and goes to college. Where the other three adult members of her family are working and struggling, it seems as if Beneatha just gets to follow her dreams of becoming a doctor, without consequences. During the course of the play, we see her interact with men and struggled to find her identity as a poor black woman in America. Ruth and Mama were two women I truly sympathized with. Together, they seem to run the family. Mama is trying to hold her family firm to her beliefs as they wait for her late husband's insurance check to come in. She really is the epitome of a strong, family oriented female character. She wants what is best for her family and when the insurance check does come in, she is torn about what the right decision will be. Should she buy a house for her family? Put away money for the education of Beneatha and Travis? Give in to Walter's whims and let him invest it in a scheme? It is this theme of living in America that really drives the play and makes me so excited to teach it. I will be teaching this to sophomores in their American Literature course. This is the last big piece we're reading before they begin their research projects and I cannot wait to dive in. The historical context around the play is what makes this so significant. I only hope that we get as far in U.S. History by the time we read this so that the students can begin to make the connections. One of the things I am most looking forward to discussing in class is something I talked with Amanda about. We were discussing how the family, Mama in particular, seem to be full of pride and refuse charity. This sparked a discussion about how before the Great Depression, Americans didn't believe in government programs or "hand-outs." It was still a strong belief that you took care of your family and it was your responsibility to support yourself. I just finished teaching the Great Depression/New Deal era and my students struggled to understand why there was resentment against governmental assistance programs. Today, there are all kinds of programs for struggling families to turn to when they are in need (remnants of those old New Deal programs and new versions). It is not as looked down upon as it once was. In my discussion with Amanda, we talked about this, and how for some, it all comes down to a matter of pride. The Younger family is proud, but chances are, a lot of opportunities for assistance weren't there. This was before the Civil Rights Movement and the changes that occurred throughout the 1960s. I can't wait to talk this over with my upper-middle class students to see what they think. There are other issues that come up as well that also develop in the 1960s and 1970s that will also offer great discussion. This little play packs a powerful punch that will be just the thing to jump start discussions in my English classes. I am glad that I read it now, to mull it over and plan a few things to get my students thinking about these deeper issues of identity and pride. And again, for those of you who haven't read this one, I highly suggest you do! Don't forget to check out Amanda's post as well! Wow your thoughts are so much more coherent than mine! And you managed to bring in more of our conversation. :D I'm linking to your review momentarily! It sure is interesting to know that you will be discussing the time period that I was a young child-teenager-young adult. The 60's and 70's were interesting decades to grow up in. Sure is a lot different now. With all the government programs now available is amazing compared to then. You are right, it was pride and you didn't take handouts, you just did without. I think that is why the older generation has such a different view about how things are today. Sometimes I wish we could go back on some things-not all. I was brought up on the lower end of the middle class and always thought I had everything I needed. Today you can have all the latest gadgets and still be wanting the newest item out there. It's all a matter of perspective. I used to teach this one years ago! It's such a straightforward plot but has so much to offer from discussion. It sounds like this was a valuable tool. I loooove this play. 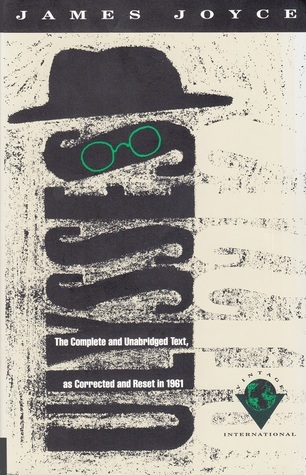 I read it as an undergraduate, and it was one of my favorite pieces from my American Lit class. Good stuff! I read this book shortly after 4th grade when I did a report on Lorraine Hansberry. I got so much more out of it re-reading it last year for my sophomore American Lit class :) I LOVE this play precisely because it's so straightforward and the characters are so complex. Benny is my favorite character. I see her as being the one whom the family's hopes rest on. Walter Lee never expressed an interest in school (I imagine) and as soon as Benny expressed that she wanted to go to college and eventually become a doctor, the entire family wanted to see her suceed. her success would be there success and while Mama and Ruth are willing to sacrifice for it, Walter Lee is not. The scene with Mama beating walter is truly gut-wrenching. I would also recommend (if you can) that you watch the two film versions. One with Sidney Poiter, Ruby Dee, it's marvelous. P.Diddy updated it with Phyllicia Rashad and it was actaully really good. I've only read bits and pieces of the play. I had to do a scene from it in my drama class in high school. I'll have to find it and read it in it's entirety. Good luck teaching it. It sounds like it will make for a great discussion. 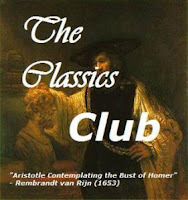 I really enjoyed this when I read it a long time ago but I hadn't remembered the details. I'll have to reread it -- it's on my shelf calling to me!